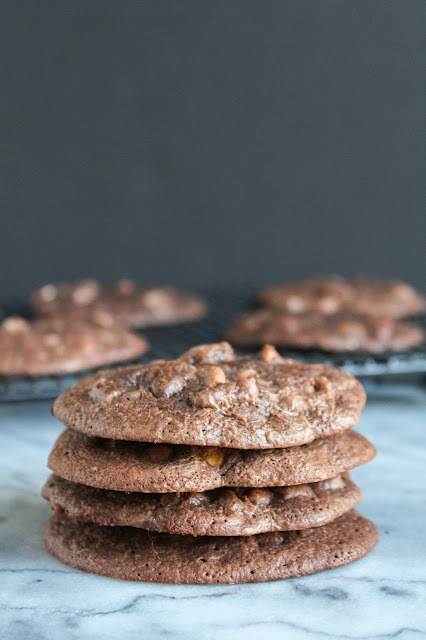 with chocolate chunks, white chocolate chips and walnuts! Being the little baking queen that I am, I love coming up with new and creative dessert recipes. Although I mostly bake from scratch, from time to time I really enjoy taking a baking mix and putting my spin on it and turning it into something new. 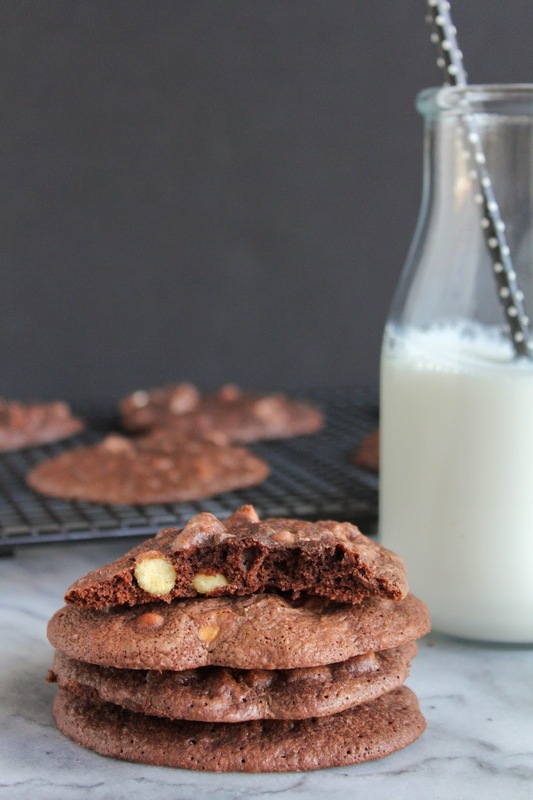 Take these Loaded Brownie Cookies, for example. 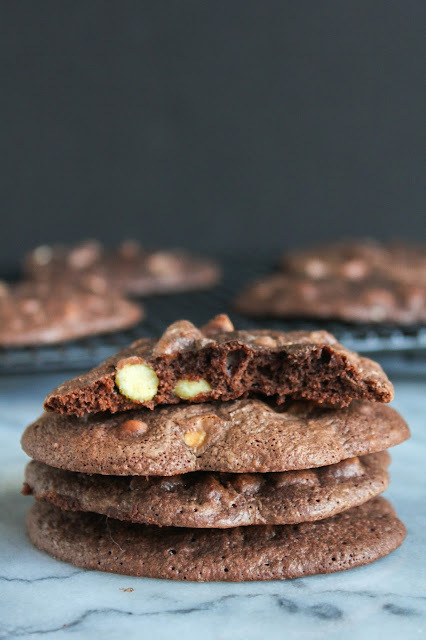 I started off with a brownie mix, added a little of this, a little of that, and came up with these fabulous cookies. 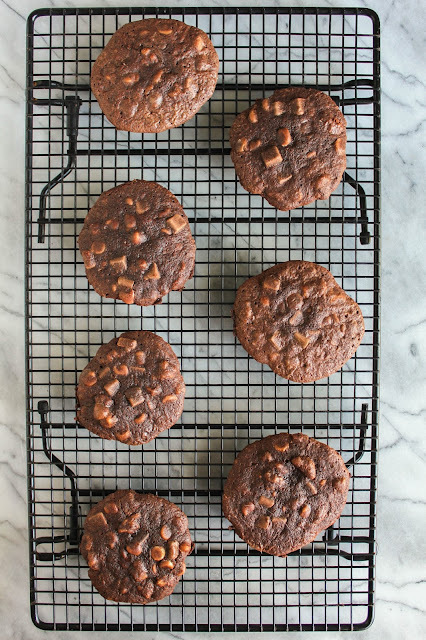 Tender and chewy like a brownie, but in cookie form. My family has been going crazy over them! 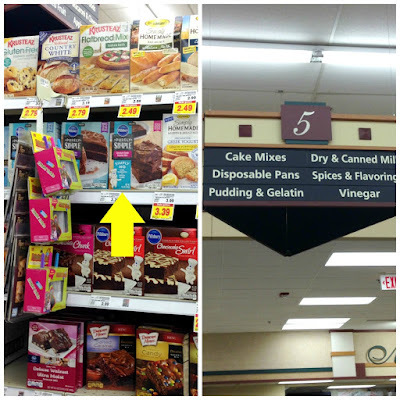 Are you familiar with the Pillsbury Purely Simple mixes? I recently ran across them at the store and decided to try them out. 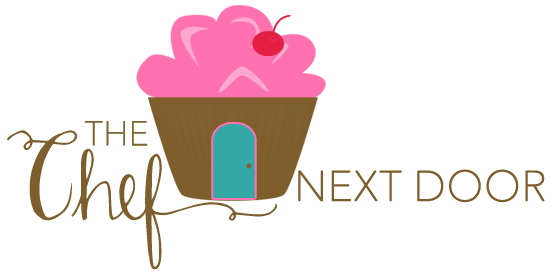 The mixes contain no artificial colors, no preservatives, and no bleached flour. They use purely simple ingredients. Sounds pretty great to me! I used the Purely Simple Brownie Mix – Chocolate Chunk Brownies to make these Loaded Brownie Cookies. Although they already have chocolate chunks in the mix, I went ahead and added white chocolate chips and walnuts, too. Because, why not? I wanted these to be loaded and filled with flavor! The texture of the cookie is just like a brownie, but I love how portable they are. Perfect for any party, any tailgate, or putting in a lunchbox. Or in my case, just eating straight from the cookie jar. Are you ready to give these delicious cookies a try? Let's bake! In a large bowl, whisk together the brownie mix, flour, oil, water and eggs. Fold in the chocolate chips and walnuts until well combined. Using a medium cookie scoop, drop scoopfuls of batter about 2 inches apart onto the prepared baking sheet. Bake the cookies for 9-10 minutes, just until they are set. Let them cool on the baking sheet for 5 minutes before moving them to a cooling rack to cool completely. Store in an airtight container or a cookie jar for up to one week. You can find Pillsbury Purely Simple baking mixes in the Cake Mixes and Baking Aisle of your local Kroger store! Be sure to check out more delicious recipes at Pillsbury.com and share with me your favorite!